This year's staff is a knowledgeable group of lacrosse coaches and players. We have the Tolland High School lacrosse head coach Victor Hurtuk, Tolland High School lacrosse alumni and current Kean University lacrosse player Justin Lappen, Tolland High School lacrosse alumni Ed Cahill, and Tolland High School lacrosse alumni and current Western Connecticut State University lacrosse player Mike Schoen. There are also Tolland High School lacrosse player volunteers. Coach Hurtuk has been with the THS program since its inception. He also played prep-school lacrosse at Berkshire School in 1991 and he played at Uconn from 1993-1995 as a long pole middie and close defense. Victor resides in Tolland with his wife Emily and his 3 children; Mikenna, Saylor, and Holden. Coach Lappen played at Tolland High School from 2004-2007 finishing with All-Conference and First and Second Team All-State honors, as well as being the captain both his junior and senior year. 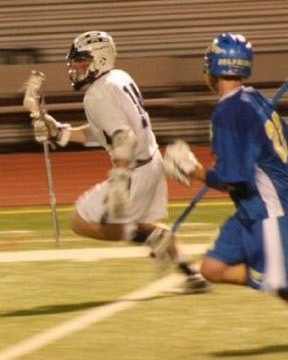 Justin recently graduated from Kean University as a midfielder and face-off specialist where he set an NCAA record for fastest goal. Coach Cahill played at Tolland High School from 2004-2007 ending with All-Conference and Second Team All-State honors, as well as being the captain both his junior and senior year. Coach Schoen played at Tolland High School from 2005-2008 ending with All-Conference and All-State honors, as well as being the captain his senior year. 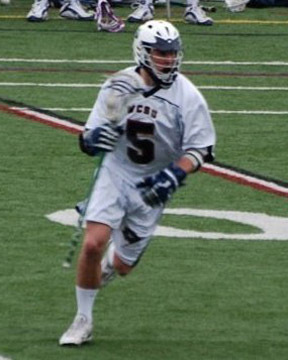 Currently he plays at Western Connecticut State University as a midfielder.